Simulating the experience of investing in real property without the need to purchase an entire property, DomaCom removes the concentration risk that single property investment presents giving you an opportunity to secure an allocation to the sector across multiple properties. Engaging with property model managers, DomaCom offers a range of multi-property portfolios based on investment strategies such as income, capital growth or a combination of both. These can include residential and commercial properties. Investment objective: An advisory firm with a group of early retiree investors wanted to create a portfolio of properties to achieve a steady income stream greater than the bank’s term deposit rates, coupled with a growth component. The adviser in conjunction with property specialists searched for growth areas in VIC, NSW and QLD where tenants would be easy to find. 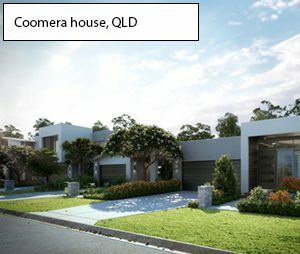 4-bed, 2-bath, 2-car house in a growth suburb of Coomera in the Gold Coast region, QLD. Investment objective: An advisory firm wanted to provide a diversified property exposure for their clients who were previously unable to allocate funds to direct property within a prudent asset allocation in their portfolios. In conjunction with property specialists, the adviser identified 4 properties in outer suburbs of metropolitan areas in QLD, VIC, TAS and SA with reasonable growth and good rental that met their criteria. 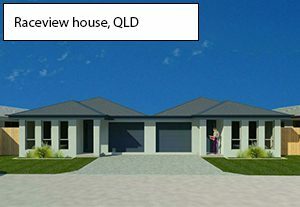 2-bed, 2-bath, 1-car house in Raceview, a suburb of Ipswich in QLD. In ‘grouping’ properties together investors can allocate their funds in a single campaign and the platform will split their funds equally across the portfolio of properties, which may be 2, 3 or more properties depending on the type of property and price. 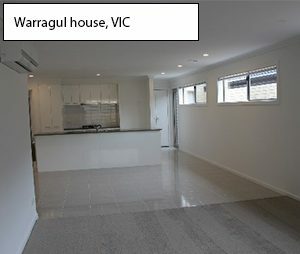 The benefit of investing in this way is that all your eggs are not in one basket, so you may see some areas performing better than other and you will have multiple tenants across the portfolio, hence, minimizing tenancy risk as they will not all be vacant at any one time. It’s also interesting to note that close to 40% of investor accounts in the DomaCom platform are Self-Managed Super Funds (SMSFs), indicating that the DomaCom fractional model is an ideal vehicle to provide an asset allocation to real property without over-weighting the portfolio. A recent article in the Domain about partnering up with family and friends to assist in buying a property gave us an unexpected boost because the DomaCom model offers exactly that, and we will be promoting this concept particularly to the Gen Y and Millennial markets. Partnering up in this way does not necessarily mean family and friends gifting money to help someone acquire a property to live. Using the DomaCom Fund family and friends can invest to contribute towards the purchase price together. Once the property is acquired, it is held in a separate sub-fund with the investors holding units in that sub-fund. Whoever lives in the property will then be paying rent to the sub-fund, which is then distributed net of property management fees to the investors. The investors will hold the units in proportion to their contribution, which will also entitle them to a share of the capital value which they sell to the tenant over time based on current value. Following the initial start-up period, DomaCom has decided to bring funds administration services previously performed by FundBPO Pty. Ltd. (ABN 81 118 902 891 AFSL 303253) in house effective 1 July 2017. We thank FundBPO for their services and support to date. We recently announced that DomaCom Australia Limited has supported an action in the Federal Court for a declaration that the DomaCom Fund sub-funds are not in-house assets or related trusts for the purposes of the SIS (Superannuation Industry Supervision) Act. Such a ruling would confirm that SMSFs can invest in property sub-funds where the tenant of the underlying property is a related party of the SMSF. The ability to use superannuation to help people into a home is clearly a topical issue in Australia, and it is our belief that the DomaCom Fund can play a key role in solving this issue whilst still protecting the assets of the SMSF. 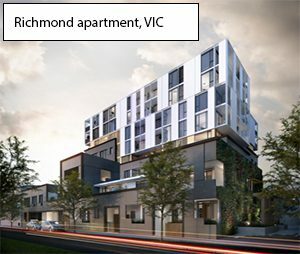 The unique arm’s length structure of the DomaCom Fund protects the SMSF assets whilst generating commercial rates of income and capital return that the underlying residential property delivers. Residential property can be used as an anchor asset class for the superannuation portfolios of Gen X/Y investors, which can then expand to other asset classes later in life. Stay tuned for progress and outcome of this Federal Court determination. The end of the 2016/2017 financial year is near. We will commence preparations for the end of the financial year shortly in order to issue you with Tax Statements for each sub-fund by the end of September 2017. Please look out for a notification email closer to this date that will ask you to log in to the DomaCom platform to download your Tax Statements. In the meantime, if you have any questions about our statements, please contact our Client Service team via email, clientservices@domacom.com.au. There is a new Common Reporting Standards (CRS) obligation concerning the exchange of tax information aimed at combating tax evasion. CRS requires new client onboarding procedures to take effect from 1 July 2017, and subsequently for us to include this in our Australian Taxation Office (ATO) annual reporting from 1 July 2018. Akuna is developing and managing a portfolio of resort-style residential retirement communities in regional Victoria for the over 55’s, commencing with a ‘greenfield’ site in Cobram on the Murray River. 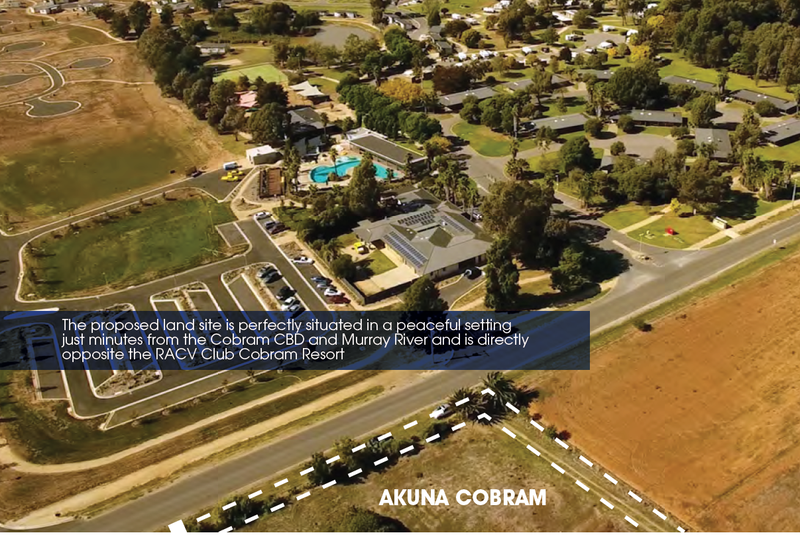 Through the DomaCom Fund, Akuna is offering investors the opportunity to purchase units in a sub-fund that will acquire ownership of the land component for the development of its Cobram community, with the aim to provide investors high yielding returns from both development and ongoing land-rental activities. Please note that return figures below are estimated returns only and cannot be considered as a guarantee of your investment performance. The land The Akuna site comprises of 8.2 hectares, with an approved development plan issued by the Shire of Moira for 148 home sites and community facilities including clubhouse, sports centre, pool and bowling green. Estimated return on investment Building Phase: During this time it is expected that investors in the Akuna sub-fund of the DomaCom Fund may not receive any income distributions, and the return will be primarily by way of expected increases in the unit price of the investment holdings. Unit prices will be reviewed regularly through the building phase by periodic re-valuation. Completion Phase: Upon completion and full occupancy, the investors in the Akuna sub-fund of the DomaCom Fund will receive a monthly net rental return. It is estimated that after all expenses the rental income will equate to approximately 8% p.a. on the completed capital value. Affordable retirement accommodation via Residential Land-Lease Community (RLLC) living separates the ownership of the land from ownership of the house, freeing up capital for the homeowner whilst providing the landowner with secure ongoing rental income from the land. IMPORTANT to note is that RLLC projects do not come under the Retirement Villages Act and therefore housing properties sold in this project will not be subject to the fees recently outlined in several media reports. Akuna will have no entry or exit fees for residents. Lifestyle community living is driven strongly by an ageing population prepared to downsize and relocate to achieve an affordable lifestyle. Akuna will develop and lease the land, construct and sell houses and manage the community. This proposition is part of a growing trend in affordable housing options targeted at the baby-boomer generation moving into retirement. The market for retirement housing is significant with 6 million Australians over 55 years, most of whom are retired or currently transitioning to retirement. Affordability is critical, as 71% of Australians over the age of 65 have no superannuation*. If you would like to invest in the Akuna Cobram site through the DomaCom Fund, you can join this public crowdfunding campaign by completing the application and lodging your investment funds through the Akuna page on our website. Please ensure that you first read the DomaCom Fund’s Product Disclosure Statement (PDS). For a copy of the current PDS, please go to our website to download your copy at https://domacom.com.au/the-domacom-fund/product-disclosure-statement/. We’re pleased to advise that DomaCom reached the settlement earlier in the year on what we believe to be Australia’s first crowdfunded farm. “Doyles” is a beef cattle property in Victoria’s Western District which sits in a sub-fund of the DomaCom Fund for its 92 investors. 5% to 6% capital growth (as detailed in the Rural Bank Report on median Farmland Values in Australia*). We are now on the lookout for other suitable rural properties to acquire due to the low volatility of agricultural land prices, growing Asian demand for agri products, and a long-term investment horizon that allows investors to negotiate fluctuating commodity and currency prices. General Advice Warning: This information is general advice only and does not constitute personal financial advice. The information has been prepared without taking into account your personal objectives, financial situation or needs. Accordingly, before acting on the information provided you must consider the appropriateness of the information, in the light of your own objectives, financial situation or needs. If you wish to acquire a financial product within the DomaCom Fund offering, you should first obtain a copy of, read and consider, the PDS before making any decision. A copy of that PDS is available at https://domacom.com.au/the-domacom-fund/product-disclosure-statement/ or by calling your financial adviser.